Gaze upon the giant fir trees which are among the some of the tallest trees in Britain and breathe in the earthy woodland as you roam around the banks of the River Braan. Seek out the totem pole disguised in the woods and spot the red squirrels scurrying about in the tall trees. 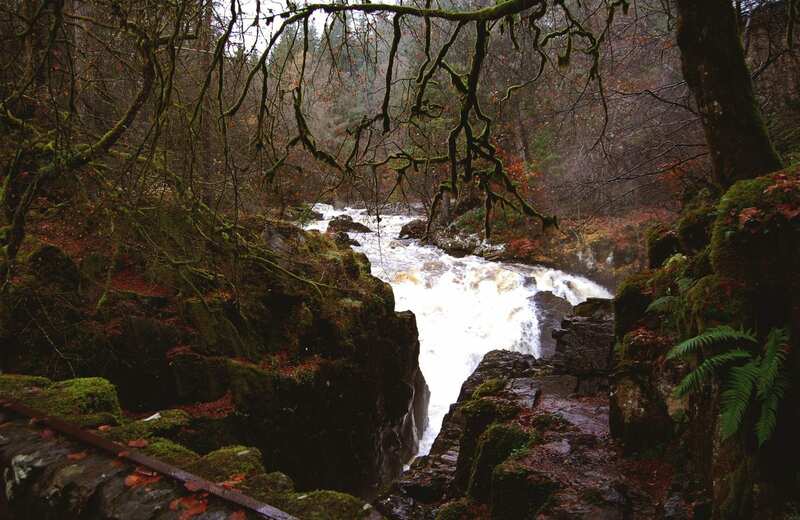 If you’re lucky you will even see salmon leaping up the falls in autumn.